Does it seem like I do a lot of shopping here in Wisconsin? Well that's because I do. It's not because Madison is the fashion capitol of the world; it's because a) I'm on vacation and b) I get to shop with my mama, which is something I sorely miss in my day-to-day life. She's the one who urged me to get this hat ("you have to buy it or I will kill you") against my first instinct ("but I don't need it" what? who am I?). And of course, she was right. I love my new hat. 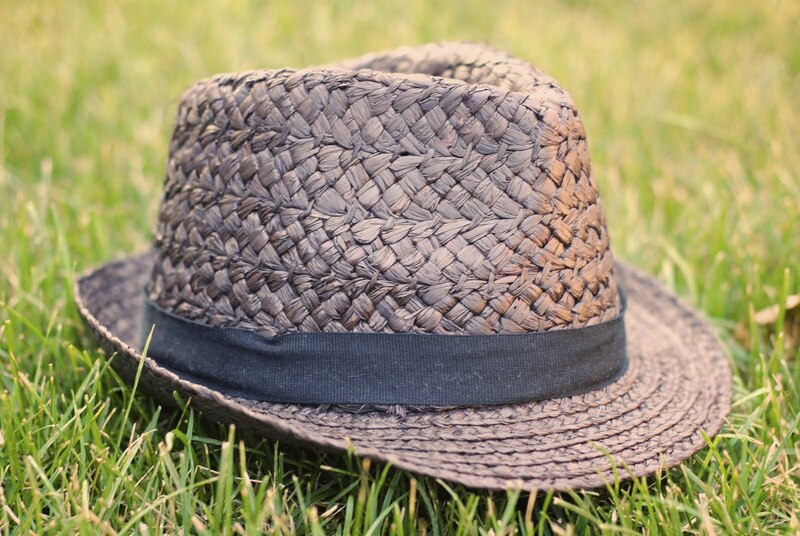 A purplish reddish brown raffia fedora tied with a black grosgrain ribbon, this guy has major attitude but in a slightly unexpected way. And he comes to me by way of Banana Republic. Yeah, I was surprised too.